Temporary water supplies must meet many quality requirements. 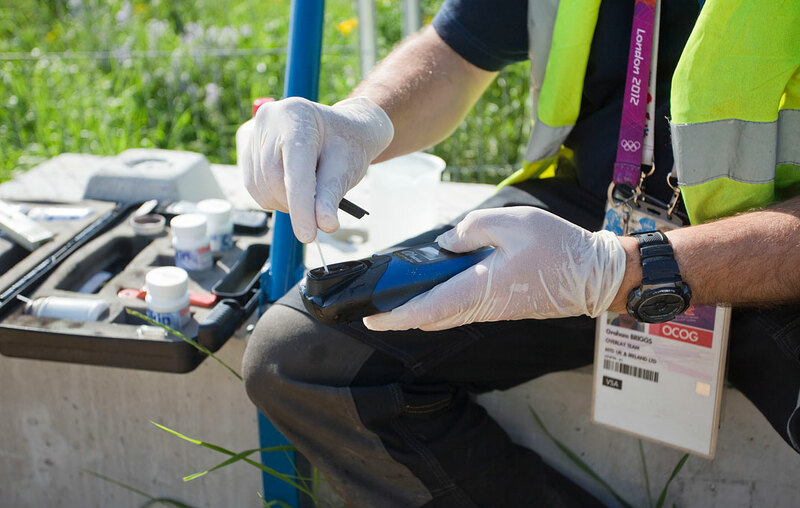 MTD has introduced a large number of checks and monitoring points within our organisation and also during the installation and operational phases of installations, so we can provide a continuous and optimal water quality. All equipment is cleaned in separate areas, disinfected and stored. The overview below gives you an idea of our approach. However, if you should require any specific information on quality and safety our water quality manager will gladly be of assistance. Our water quality manager monitors, checks and perfects the quality of our company, our products and services. He performs random workplace inspections and has the responsibility and authority to intervene when safety is compromised. He works according to international laws and regulations and always drives our organisation to the next level. He sees to it that all our facilities and water supplies are safely installed and there are no threats to the public or the environment. He examines the capacity and water quality of the feed point and discusses the needs with the technical service provider of the site or the water company, the municipality, public works, environmental services or the water board. In doing so he employs independent laboratories or research agencies where needed. Worldwide. With only one goal: MTD continues to deliver the best water. Rinsing thoroughly and intensively. All pipes are flushed. For pipes wider than 40 mm, we use a foam rubber plug for thorough cleaning. Disinfection of the entire pipeline by a qualified specialist. The temporary pipeline is disinfected with hydrogen peroxide or chlorine that remains in the temporary water infrastructure for at least two to four hours. After this, the disinfecting agent is thoroughly rinsed. We prefer to use hydrogen peroxide because it breaks down into water and oxygen during rinsing and doesn’t pollute the environment. In all our projects we strive for the earliest possible sampling so as to enable timely action, should there be any contamination or potential legionella infection. Within 24 hours of disinfection a local accredited laboratory takes samples of the drinking water. This is done at so-called critical points such as the inlet point of the installation, the various endpoints of the infrastructure, taps and showers and kitchen connections. For this we have contacts with laboratories at home and abroad. Water with temperatures between 24 and 60 degrees Celsius may pose a risk to public health due to the risk of legionella infection (Legionnaires’ Disease). Special attention is therefore required for atomisation (aerosol-forming) equipment such as hot tubs, whirlpools, humidifiers, fountains and showers. Beware! – To ensure legionella-free water, all the devices connected to our infrastructure should be pre-disinfected and tested. Only then can we guarantee a safe water connection and supply. – Depending on the ambient temperature, MTD carries out regular checks on the water temperature at the so-called critical points. To avoid excessively high temperatures MTD has developed a system for optimum temperature control of pipelines and installations. In some countries the water contains elevated levels of chlorine which eliminates any chance of legionella. Bacteriological examination, results are obtained on the total colony count, the coli bacteria and E. coli. If necessary, we can trace any harmful contamination in the drinking water within 24 hours. The final result follows after three days. Legionella test, including the non-pneumophila, serogroup 1. By using the conventional method we can identify, within 7 days, whether anything suspicious is present in the water. If the findings indicate a large quantity of legionella bacteria in the water, a typology study will follow. After 10 days we will know the results with the exact numbers. The results of the sampling will be discussed, as appropriate, with the client and can be inspected on demand. In the event of contamination we always contact our clients directly. We then recommend what action should be taken immediately to resolve the situation. The samples we take give you an indication of the water quality at that particular moment. However, the quality of the installation needs to be constantly maintained. You can leave all your worries to us. MTD offers you a daily monitoring service for drinking water quality. During the event, two to three times per day, the temperature of the water in the main pipes will be measured. Where necessary a cooler will be placed or we will connect a flushing pipe on each terminus of the main network in order to keep the water temperature low in the pipes. The pH, chlorine and conductivity are also measured and checked. This data is recorded and reported. Besides our own controls, our equipment and methods are under constant supervision by a certified laboratory. Safe drinking water is extremely important. Not just in our system, but also for the equipment of other parties. As soon as we connect our system we ensure that safe drinking water flows through. However, the equipment of other parties also has to be disinfected and ready for safe drinking water. 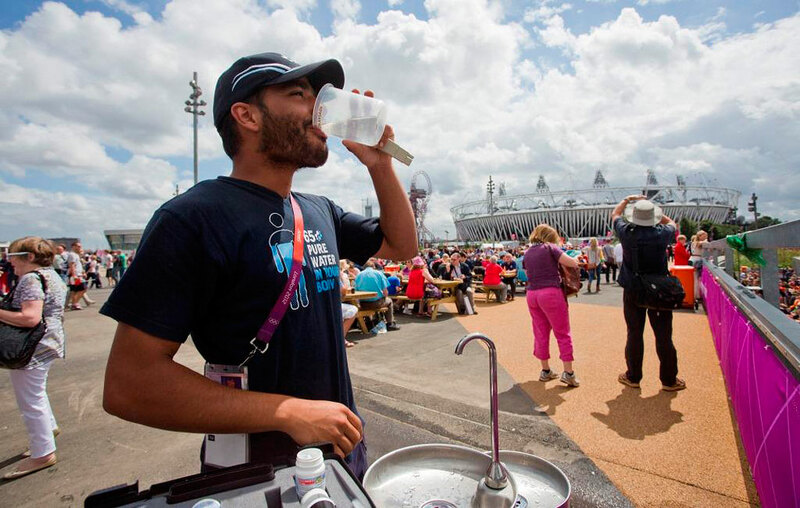 MTD offers the opportunity to take responsibility of the entire water infrastructure at your event. MTD has extensive experience controlling and managing safe drinking water in all kinds of systems and equipment of third parties, and can therefore take responsibility for safe drinking water from the source to the water tap in the toilet, shower or catering point.